If you use the Aheadworks Subscription & Recurring Payments module, you can use MageMail to send reminders about upcoming subscription renewal payments. This will allow you to tie in things like auto-login, best seller / new product recommendations, and other MageMail features that can come in handy. 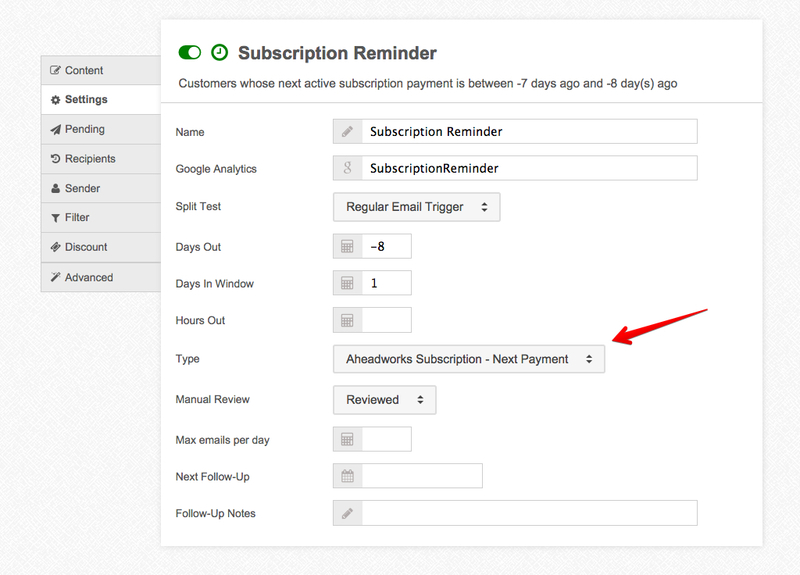 In order to use it, just select the Aheadworks Subscription Reminder as the email type.